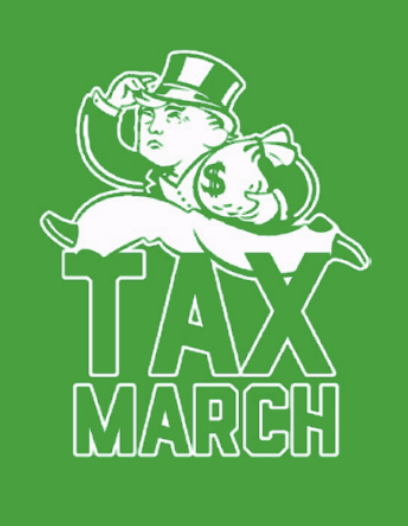 WASHINGTON, D.C. — Today, Tax March launched a new digital ad highlighting comments made by Howard Schultz implying a fair tax code is un-American. The five-figure ad campaign launches today, geo-targeting tonight’s CNN town hall with Schultz in Houston as well as Starbucks headquarters in Seattle. The ad showcases how Starbucks dodged millions of dollars in corporate taxes while Schultz was leading the company. From using a giant loophole in the tax code to get a tax break for executive pay to dodging taxes in the United Kingdom, Starbucks has engaged in bad corporate behavior that has increased profits and enriched shareholders at the expense of employees. While Schultz was CEO, Starbucks claimed that the company accelerated hiring plans and gave its employees raises, but in reality, hiring levels remained constant year-over-year, and the cost of those raises was nearly covered by the tax break the company received in just three months. In just the first quarter after the Republican tax law passed, Starbucks saw a $117 million tax break, and the company spent $7 billion on stock buybacks in 2018, up from $2 billion in 2017. While Schultz has said that he would have pushed for a more “modest” tax cut for corporations and the wealthy, research shows that the major tax cuts that corporations received from the Republican tax law went directly into the pockets of the wealthy, not the workers. Instead of pledging to raise taxes on corporations or the wealthy, Schultz has continually said that we need to decrease the national debt, which poses a fundamental threat to programs like Medicare, Medicaid, and Social Security. Recent polling indicates that a large majority of Americans—including 60 percent of independents—support raising taxes on corporations and the wealthy.